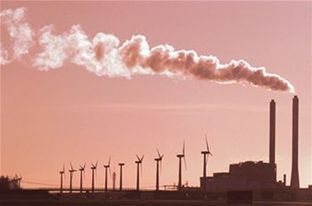 The 20-20-20 target set by the EU (20% cut in emissions, 20% improvement in energy efficiency and 20% increase in renewables by 2020) has been seen by many as a confident step towards unified emissions reductions, and one that shows Europe taking the lead in the war on carbon. For power companies it means they must diversify their portfolio, while maintaining security of supply and looking for new business opportunities. The EU has called for increased interconnection across Europe as a priority issue. As a result much focus has been placed on establishing an interoperable and sustainable pan European grid. An innovative step forward in technology that enables efficient grid functioning are flywheel-based energy storage systems. Unlike fossil-fuel power plants that are used on the grid for frequency regulation, flywheels are sustainable ‘green’ technology solutions that consume no fossil fuel, nor produce CO2 or other emissions during operation. The storage system can help expand capacity for renewable energy generation. William Franks, Director International Business Development, Beacon Power Corporation, calls it “the modern approach to balancing grid energy”. Franks is a speaker at the upcoming marcus evans European Ancillary Services & Grid Integration Forum in Berlin. “Expanding the grid by obtaining new rights of way is very difficult as we all know. So you have to make maximum use of existing rights of way and existing infrastructures. Again that’s where all limited energy storage devices come into play because they mitigate the operating problems that occur as you introduce more and more renewables in Europe and specifically wind on to the grid. They can help mitigate such things as frequency variations, wide area oscillations as well,” Franks explains. In keeping with the EU commitment to transform the region into a highly energy-efficient, low carbon economy by 2020, ancillary services will play a role in the power market in meeting the 20-20-20 target. Ancillary services are those functions performed by electrical generating, transmission, system-control, and distribution system equipment and people to support the basic services of generating capacity, energy supply and power delivery. The marcus evans European Ancillary Services & Grid Integration Forum will take place in Berlin, 15-17 September.